Best practices for ditching your cable company. There are a lot of reasons to hate cable TV. Long contracts, arbitrary price hikes, extra costs for channels you never watch—who needs all that trouble? Fortunately, livestreaming has taken off in a big way, making it easier for you to get the channels and features you want and avoid the pitfalls of cable service. And we’re here to help you navigate it. If you’ve had a cable package for a while, cutting the cord may seem overwhelming. There are a lot of services to choose from, so how do you know you’re getting the right thing? And then there’s the whole complication with devices and how they work. On the surface, streaming live TV may seem like more trouble than it’s worth. But believe it or not, streaming services are pretty similar to the cable packages you’re used to—they’re just slimmed down to save you money. To get started, you just have to follow a few key steps to make sure you’re getting the right solution for you. Figure out what you want to watch. Identify how you like to watch TV. Make a list of features you need. Figure out the devices you’ll use. The goal for most streaming services is to trim down the number of channels in your package so you can avoid paying for channels you never watch. While all streaming services aim to deliver the most-popular channels, knowing in advance which shows you want to watch will go a long way toward helping you choose the right provider for you. For example: are you a die-hard sports fan? If so, you’ll probably want a service that includes ESPN, Fox Sports, and any specialty channels you need to watch your favorite teams. Or if you’re more of a Game of Thrones person, you’ll definitely need a streaming provider that offers HBO. It may also be helpful to separate your must-have channels from your “want” channels. Since streaming services offer fewer channels than cable, it’s unlikely you’ll get every single channel you want without paying cable-package prices. But if you know which channels you’re willing to let go and which you absolutely need, it’ll be a lot easier to actually save money by cutting the cord. DIRECTV NOW offers more channels in its basic package (Live a Little) than any other service. That means you’re more likely to get all the channels you need without paying extra for a high-tier package. And who doesn’t like getting more bang for their buck? Are you a binge-watcher? A TV fan with a busy schedule? A hater of foot cream commercials? Believe it or not, all that can have a big influence on which streaming service works best for you. While most streaming services offer live TV, they also offer select shows and channels on demand. You can also opt for a service that includes a DVR, which allows you to record shows to watch on your own schedule. Watch your favorite shows as they're aired. Stream shows after they air. Record the shows you want to watch. Live TV works pretty much like traditional TV. Each channel follows a schedule with shows broadcast at specific times. In order to catch an episode, you have to tune in at the right time, and you have to suffer through normal commercial breaks. Watching live ensures you get the earliest possible access to new episodes, so you don’t have to worry about spoilers. That’s ideal if you know everybody at the office is going to be talking about the latest developments on The Walking Dead and don’t want to be left out of the loop. Live TV is also ideal for sports fans, particularly if you play fantasy sports or want to react to plays in real time on social media. Overall, if you’re looking for a more traditional TV experience without cable, you’ll need a streaming service that offers live TV. With tons of channels available, DIRECTV NOW offers the best value for cord-cutters who want live TV. $35/mo. PlayStation Vue features exceptional streaming quality, which makes it easier and more pleasant to watch your favorite shows live. $39.99/mo. *Introductory rate. After first month, price increases to $39.99 monthly. On demand is a little different from your standard cable package. Networks often release new episodes of their shows on demand the day after they air. Streaming services then allow you to watch the episode anytime (though there may be a time limit on how long the episode is available). Plus, on-demand shows usually feature shorter commercial breaks. On-demand content is perfect for fans who have busy schedules but want to stay up to date on the latest TV. It’s also great for binge-watchers and TV fans who want to try out new shows without committing their limited DVR space. But since there is a delay in how soon you can access new episodes, it’s not ideal for anyone who can’t handle spoilers. On demand really got its start with Hulu. The service boasts a huge library of on-demand movies, current shows, and classic TV. $39.99/mo. DIRECTV NOW offers the highest number of on-demand channels after Hulu Live, and the price is one of the lowest available. $35/mo. PlayStation Vue offers the third-highest number of on-demand channels, plus the highest-quality streaming available. $39.99/mo. Then there’s DVRed TV. Most people are familiar with how a DVR works, so we won’t go into too many details other than saying that DVRs allow you to record live TV. You can then watch your shows on your own schedule with the added bonus of being able to fast-forward through commercials. There is a downside to DVR, though: recording limits. Even with cable, DVRs have only so much space to save recordings. Once you hit your limit, the DVR won’t record any new shows until you delete your old recordings. Most streaming services are the same, with caps on the number of hours of TV you can record. But there are a few services that offer unlimited DVR space, instead with a time limit on how long you can keep your recordings. On the whole, DVR is great for anyone who absolutely hates commercials and wants to watch their favorite shows on their own schedule. But keep in mind every service has different offerings when it comes to their DVR. Here’s how they compare. PlayStation Vue’s DVR delivers unlimited space but with a short 28-day time limit. $39.99/mo. *Introductory rate. After first month, price increases to $49.98 monthly. 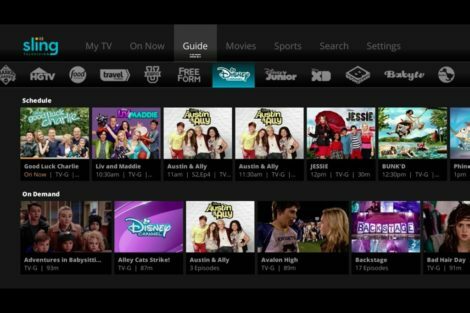 Since each service handles its live, on-demand, and DVR options differently, it’s important to know which you prefer and how you intend to watch TV. That way, you can avoid services that don’t deliver a good experience on the platform you prefer. After all, you wouldn’t want to sign up for a service with only 50 hours of DVR space when you know you’re a heavy DVR user. Establish what you prefer ahead of time, and it’ll make cutting the cord that much easier for you. In some ways, picking a streaming service is a lot like buying a car. You may love those heated seats and satellite radio, but in the end, those extra features are going to cost you. With streaming, it’s important to prioritize the features you need and decide which features you can do without. So, for instance, you may decide you absolutely need HD to keep up with your 4K TV set, and you don’t really need to pause live TV. Every streaming service approaches features differently. Once you know which features matter most to you (see our explanation of features below), you can start figuring out which services offer what you need. We’ve given you a brief rundown of each service here, but we highly recommend doing some in-depth research into each provider to see which services line up best with your preferences. Here’s a little more insight into the features that most people care about. This is a feature most cable users should be familiar with. Basically, it’s a timetable of shows scheduled to air on each network. The channel guide can help you decide what you want to watch and figure out what time your favorite shows are on (or when your favorite teams are playing). Each streaming channel does its channel guide a little differently, and some are more user friendly than others. If you’ve been using cable DVRs for a while, being able to pause, rewind, and fast-forward live TV may be a feature you’ve gotten so used to, you don’t even think about it anymore. But with streaming, your TV is delivered via internet, so playback features are often more limited in order to maximize bandwidth. Translation: not all streaming services allow you to pause, rewind, and fast-forward live TV. If you know you like to pause live shows, then fast-forward through commercials, that may be an important factor in figuring out which service works best for you. While streaming services don’t offer automatic commercial skipping on your DVR, some do allow you to pay a little extra to skip commercials all together—at least while you’re watching on-demand episodes. This feature is usually only a few dollars more per month, and it’s offered by only a couple of providers. If that’s a big deal for you, it could be a quick way to narrow down your choices. Using an HD or 4K TV to play standard-def TV feels a lot like buying the Mona Lisa so you can hang it in the garage. To get the most out of your fancy hardware, you need a TV service that can keep up. The difference between 4K, 1080p, and 720p isn’t always noticeable, so picture quality may not matter much for you. But if standard-definition TV is a dealbreaker for you, it’s good to know that as you narrow down your choices. Streaming services also introduce some new elements not relevant to traditional TV, like streaming quality. Streaming quality has less to do with picture resolution and more to do with the actual experience of streaming. Some services offer better picture quality but require a lot of buffering time or feature a lot of lag. That can be frustrating, especially when your video cuts out right before an important play during the big game. Some streaming services may also be harder to use, with complicated menus or confusing terminology. For some cord-cutters, adapting to a new interface isn’t a big deal. But if you’re looking for something familiar, intuitive, and uncomplicated, you’ll want to make that a priority when analyzing your streaming options. Just like cable, streaming services allow you to watch TV on multiple devices at the same time. If you have a large household and want to make sure everyone can watch TV at the same time, you’ll need a service that offers lots of simultaneous streams. However, in order to discourage people from sharing their accounts across multiple households, most services do cap the number of devices that can stream TV at the same time. Each service has a different limit for multiple streams, and some even offer more simultaneous streams for an additional monthly fee. In our extensive product testing, we found that PlayStation Vue offers one of the best user experiences. The service features remarkably smooth streaming, an easy-to-use interface, and more advanced playback controls than many of its competitors—perfect for cord-cutters looking for a feature-rich streaming experience. With cable, you have to have a set-top box. Some cable providers give you the option to buy your box, but it usually costs hundreds of dollars up front. If you opt not to buy your box, your provider will charge you extra every month to rent it. And then, when you cancel your service, you’re responsible for sending the device back. When you cut the cord, you’re able to purchase any device that fits your needs. Streaming, of course, is different. If you cut the cord, you’re able to go out and purchase any device that fits your needs and use it to access your streaming service of choice. That gives you a lot of flexibility to choose a device that is in your price range, offers the features you want, and fits the aesthetic you’re going for. There are different types of devices, and the right device for you will depend entirely on what you need. We’ve listed the main types below. Smart TVs are basically just high-tech TV sets. They connect to the internet and can download apps for various streaming services. How do you know if you have a smart TV? Usually, the menu for a smart TV will display a number of pre-loaded apps for the most popular streaming services (think Netflix, Hulu, Spotify, Amazon Prime Video, etc.). It should also be clearly designated a smart TV on the box and in the owner’s manual. Plug-and-play devices are pretty simple. Like smart TVs, they connect to the internet and can download apps for different streaming services. All you have to do is plug them into your TV. Plug-and-play devices are ideal for anyone who doesn’t have (and doesn’t want to buy) a smart TV. They give you all the benefits of a smart TV but at a lower price. The only downside is you’ll have to deal with an extra remote. If all else fails, you can stream live TV on your computer. Pretty much every service allows you to stream using your iOS or PC—all you need is an internet browser. Finally, we need to take a brief moment to discuss digital antennas. Antennas basically work like the rabbit ears you used to see on old TV sets, but trust us when we say they’re far more attractive (and powerful) nowadays. To get started, you connect the antenna to your TV using a coaxial cable, and it picks up locally broadcast TV signals for free. You won’t be able to use an antenna to access a streaming service, and there are certainly downsides to relying solely on an antenna (hello—no DVR). But if you’re looking for only the most basic channels at the lowest possible price, a digital antenna (like our favorite, the Mohu Leaf 50) is an effective device for cutting the cord. Each streaming device has different pros and cons. An Apple TV, for instance, is great for Apple users with an extensive iTunes library. Chromecast, on the other hand, is better for Android users—plus, it’s a little cheaper. Once you’ve chosen a device, you’ll be able to narrow down streaming services to those compatible with your device. Sling TV offers compatibility with more devices than any other streaming service, so there’s a good chance you can use it with any of the devices listed above. Now comes the fun part! You’ve already figured out what you want to watch, the format you prefer to watch in, the features you need, and the device you want to use. Now, it’s just a matter of figuring out which services give you all that. Now it’s just a matter of figuring out which services give you what you need. There are a couple of things to keep in mind as you’re doing this. First, check each service’s channel availability in your area. If you take just a cursory look at Sling TV, for instance, it looks like it offers NBC. But if you enter in your ZIP code, there’s a two-out-of-three chance Sling won’t carry NBC in your area. So make sure you’re checking local channel availability if you want the most bang for your buck. Second, keep in mind that most streaming services offer multiple package levels and add-ons, so it’s possible you may have to buy a more expensive package to get all the channels you want. Plus, some features are available only as add-ons. As you scope out each service, be sure to keep a running total of how much each add-on and package upgrade costs so you know how much you’ll actually pay. If you do get to the point where you realize it’s too expensive to get everything you want, start trimming the channels or features you’ve identified as “wants” rather than “must-haves.” That may be hard, but remember our car analogy—as much as you may want those spinning rims and custom paint job, you may have to give up some of those features in order to bring your price back down to something you’re okay with. Finally, keep in mind that the right streaming solution for you may be a combination of services and devices. For instance, if you definitely need ESPN and NBC, don’t need a DVR, and want to keep your costs as low as possible, the best solution might be to pair Sling TV (the cheapest service that includes ESPN) with a digital antenna (the cheapest way to get local channels like NBC). Once you’ve figured out which streaming service you want to sign up for, there’s just one last step: making sure your internet connection is fast enough. Since streaming services use the internet to deliver your live TV, you’ll need to make sure you’re on an internet plan that provides enough speed and reliability to minimize buffering and loading. Most streaming services provide guidelines for how much speed you’ll need, including minimum speeds for HD streaming, standard definition streaming, livestreaming, on-demand streaming, and multiple-device streaming. Not sure if your internet is fast enough? Enter your ZIP code above, and we can help you suss out the internet options in your area. Congrats—you’ve officially cut the cord. We are so, so proud of you. And so is your wallet, we’re pretty sure. First off, streaming services (unlike cable) don’t lock you into a contract. In fact, most of them offer a free trial period so you can test out your new service at home before you buy. We strongly advise taking advantage of that time to try out your streaming service of choice. Make sure you like the interface, and double-check it works smoothly with your home internet speeds. If, for whatever reason, it falls short of your expectations, don’t feel like you need to stick with it. Cancel your plan and move on to another service that’ll work better for you. Cutting the cord is a lot like parenting: there is no one-size-fits-all approach. Second, keep in mind streaming services are constantly changing. Even if you find Hulu with Live TV gives you the best bang for your buck today, it’s possible YouTube TV will be a better choice six months from now. Since streaming services don’t lock you into a contract, it gives you the freedom to jump ship to a new service if anything changes. Takes off a lot of the pressure, right? And finally, just remember cutting the cord is a lot like parenting: there is no one-size-fits-all approach. What may be right for your neighbor down the street or your sister in Poughkeepsie, NY may be completely wrong for your household. And that’s actually a good thing because it means you have the freedom and flexibility to mix and match services, devices, and methods to get the perfect solution for your needs. How many cable providers can give you that? Still have questions? You can always reach us via email for answers to more specific questions, or check out our personal setup for additional inspiration. Stream on!